Team leaders across different countries face similar problems. Our customers, who use our weekly reporting system, come to us with similar challenges. Let's face it, being a great team leader can be a blessing and a curse at the same time. There are bright moments and then there are the challenging moments. In whichever moment you currently are, it’s important to remember that successful teams don’t magically happen, they are created. Part of the creation process is on the team leaders shoulders and the other part depends on powerful tools, methods and techniques. Oh, and then there is the small fraction of luck. But to stay steering towards mutual business objectives, team leaders need solutions that are reliable, easy to implement and enjoyable. As the ever-rising tidal wave of information has grown over the head, it’s hard to keep up with all the necessary data team leaders receives on a regular basis. The good news is that simple solutions still exist in this complicated world. One simple technique is the PPP (Plans, Progress, Problems) process that we have talked about. The practice is used by companies like Skype, Facebook and eBay. If these enterprises have been successful in managing their teams, there is a learning curve you as a team leader might be able to leverage. PPP is a management technique for a recurring status reporting. It could be done daily, weekly or monthly – however you find most suitable. This means that during a specified time each individual team member, hopefully also the team leader, reports 3-5 key achievements, plans and challenges from the reporting period. Here is a quick and visually awesome example how team leader John and his team have put the PPP into practice. 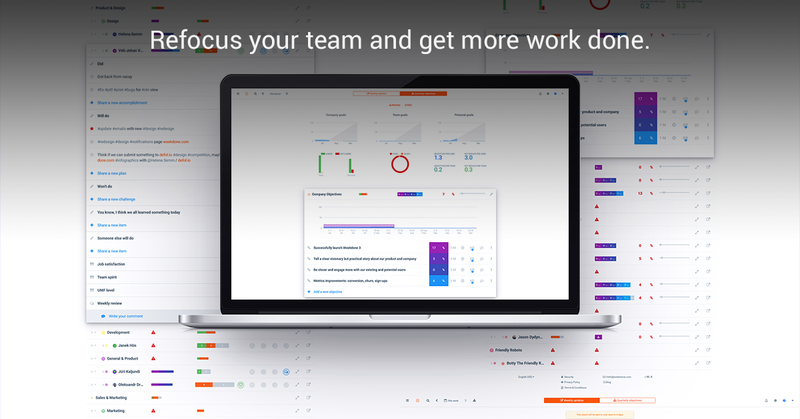 Regardless of the team size, most busy team leaders struggle to pull out most important data when it comes to their team’s everyday activities. 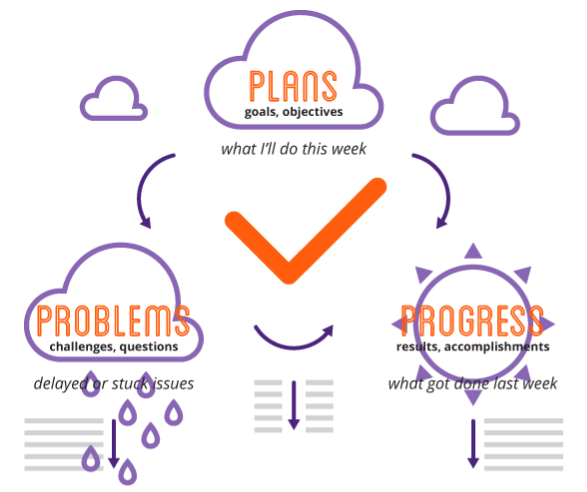 With the help of progress reports a lot of team leaders have improved their collaboration processes. Belfor's team was able to recover disasters and achieve objectives more efficiently, The Whole Foods Market was able to improve their meetings and Pennington & Bailes increased team focus and communications. – P for Progress indicates what each employee has achieved. This is a great indication for a team leader on what has been done. Asking this on a regular basis makes the team think about their progress and hopefully make room for reflection. Encourage people to write down not more than 3-5 key achievements. This will keep the process informative. – P for Plans communicates the future activities. For a team leader, knowing the plans is as important as knowing the progress. At this point, you still have time to act and jump in if you see that plans are not set according to objectives. Learning to plan and prioritize might just be the most valuable skills in time management. – P for Problems indicates challenges employees face. This is the part team leaders need to concentrate when there isn't time for anything else. The other P-s can be dealt with tomorrow, but this needs immediate attention. It’s like a little red flag that shows someone needs guidance or support. After all, two heads are better than one. 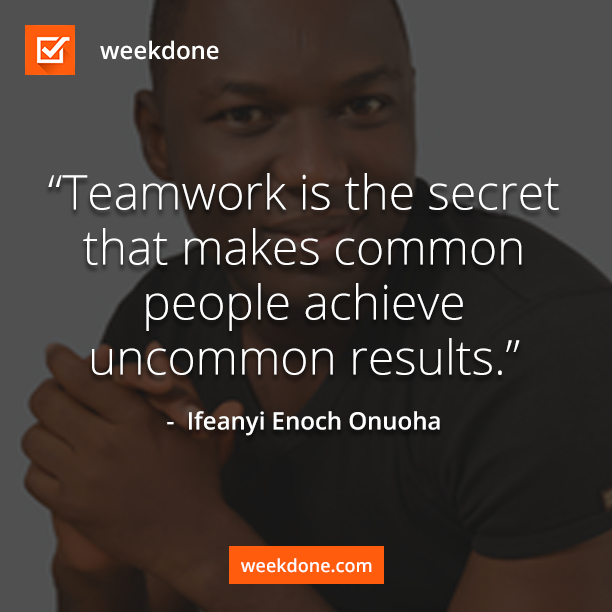 To bring everyone in your team to the same page, give Weekdone a try. 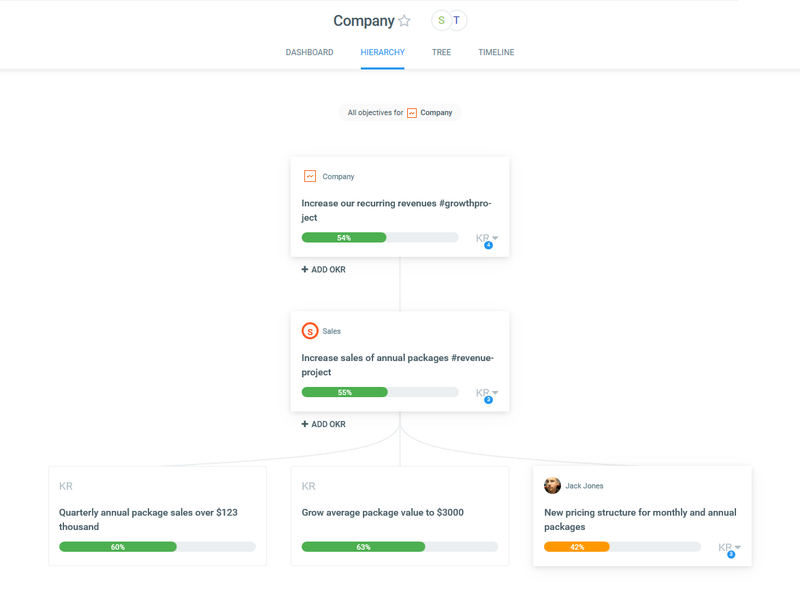 Our status reports make team leaders life easier by giving the insights you need for your team. For more information go to PPP resource page. But now it’s your turn. How do you keep yourself updated with team-members achievements, challenges and plans? Remember to follow us on Twitter, Google+ and Facebook for all about leadership, team leadership, team leader and more!